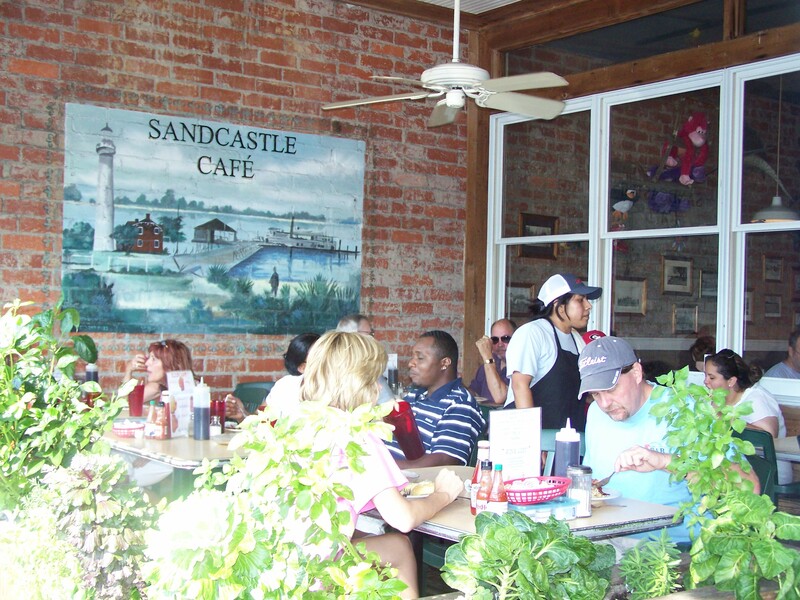 It was a sunny Saturday morning and 81 degrees when I strolled over to Sandcastle Cafe & Grill for breakfast in the St. Simons Island Village. By 9 a.m., many islanders and tourists had beat me there, already seated reading The Brunswick News, sipping on piping hot cups of coffee. I made my way through the crowd and happily opted for indoor seating in the A.C. The cafe opened in 1989 and has since fed many a hungry tourist and locals alike. 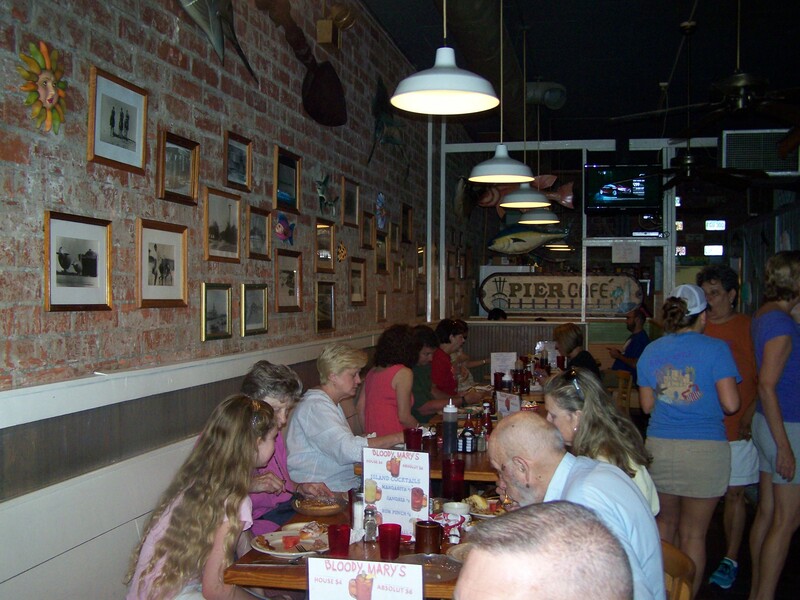 With exposed brick throughout and an eclectic mix of decorations, the atmosphere is casual and the food comforting. For just $8.50, you’ll get the “Glorious Breakfast Buffet” including just about any breakfast food you can conjure up. You’ll also receive unlimited pancakes, french toast and waffles. Or, feel free to order from the menu, where you can test your ticker with their signature Eggs Aorta–biscuits topped with gravy, scrambled eggs, sausage and cheddar cheese. Saving room for lunch? Try the lighter fare–the Fruit Plate with fresh seasonal fruit and homemade muffins. Check out the menu. 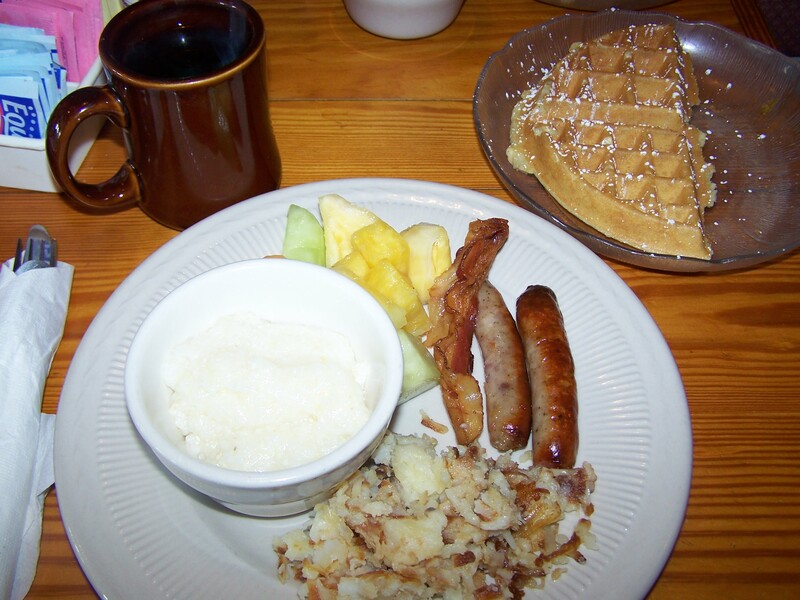 I got the breakfast buffet so I could pick and choose a few of my favorites–hash browns, fresh fruit, grits and sausage. The coffee mug was just the right size. Guests help themselves to the wide array of buffet options. 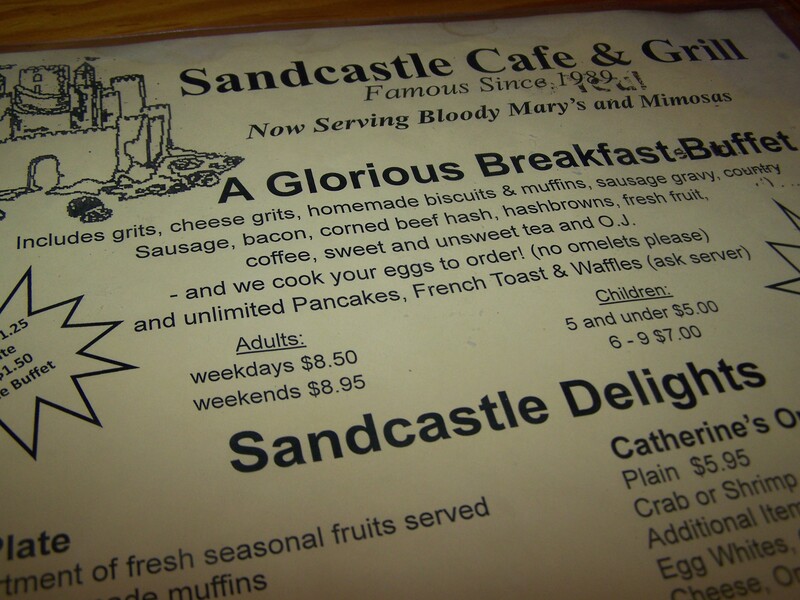 Sandcastle Cafe & Grill is open for breakfast, lunch and dinner. I don’t know of any other place on the island where you’ll get more for your money. 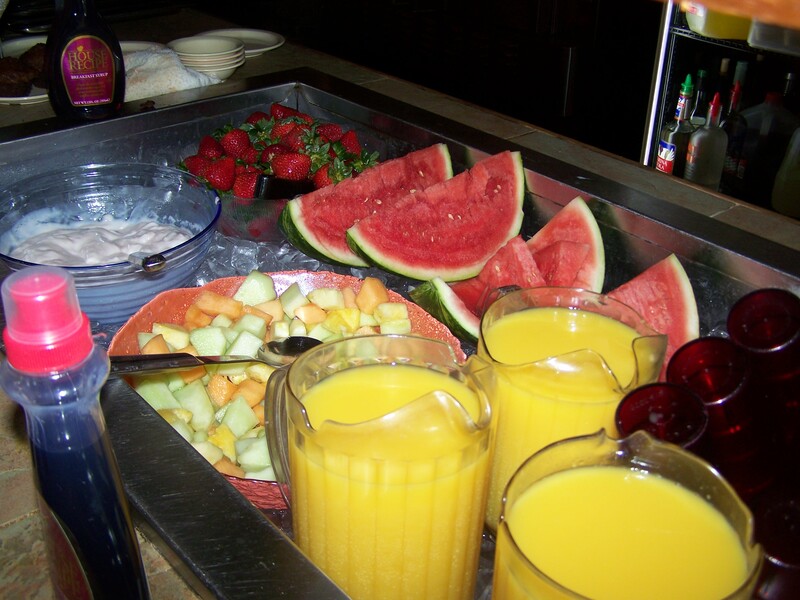 The fresh, cold fruit and orange juice are a welcomed relief from the summer sun. Black and white images fill the long brick wall. Framed by the owner herself some 20 years ago, the pictures depict St. Simons Island in the 1950’s and local families whose descendants still eat at Sandcastle Cafe & Grill today. 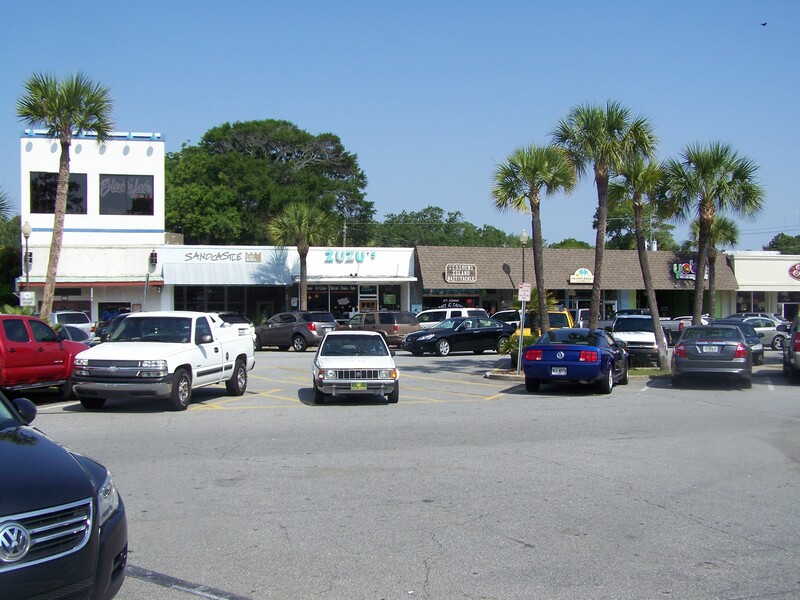 Located at the end of the strip mall in the St. Simons Island Village, the cafe faces the recently renovated Neptune Park and is just steps away from my favorite island feature…the pier. 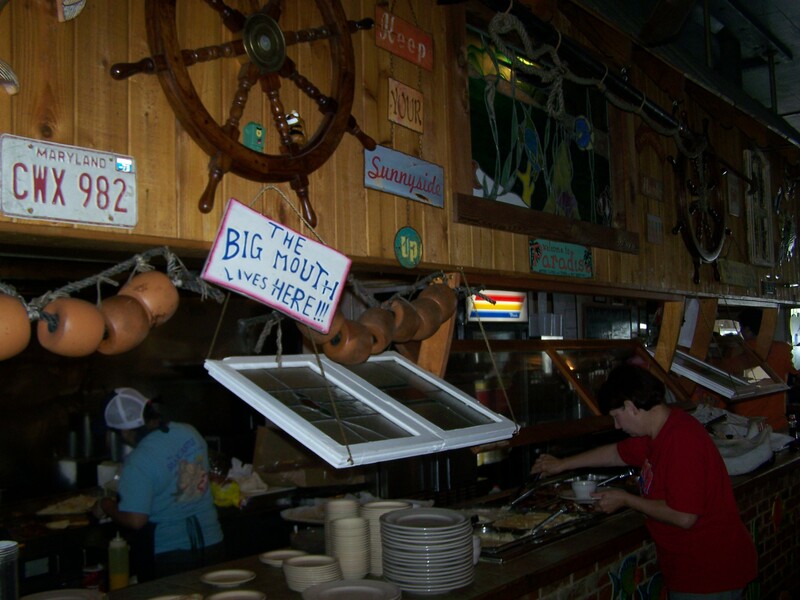 After breakfast, or any meal for that matter, we always take a walk on the pier to see what the fishermen are catching, watch the shrimp boats or see if we can spot some dolphins swimming out in the ocean. 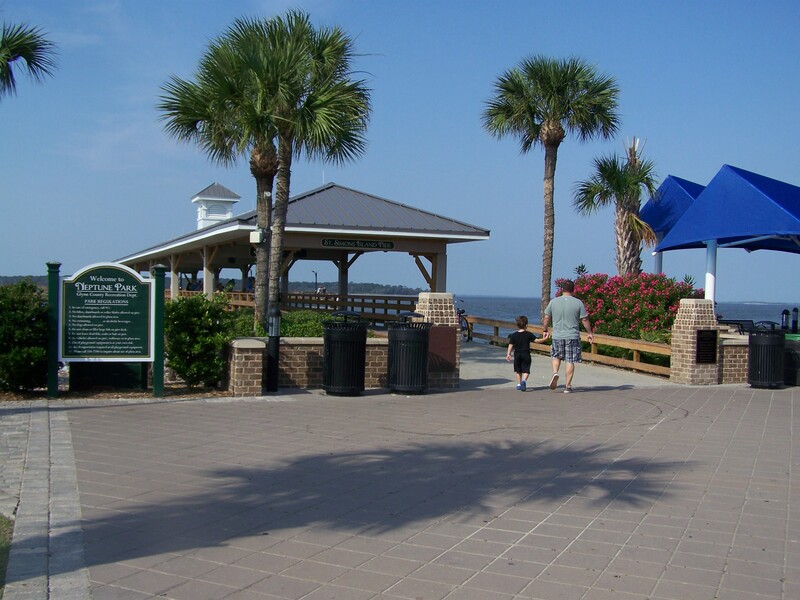 These are only some of the beautiful sights you might see on a visit to St. Simons. Pleasantly full from breakfast and feeling the sunshine on your skin, what a peaceful view. 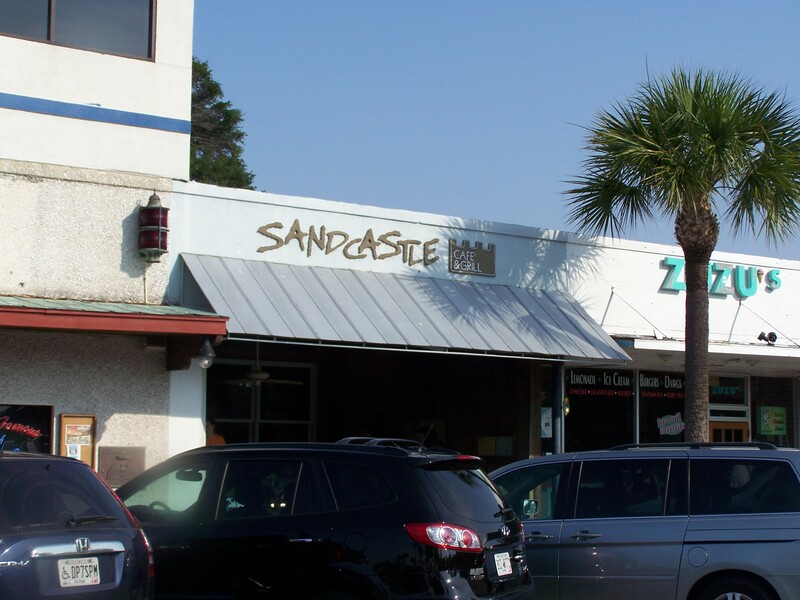 Have you been to Sandcastle Cafe & Grill? What a deligtful article! We love Sandcastle!